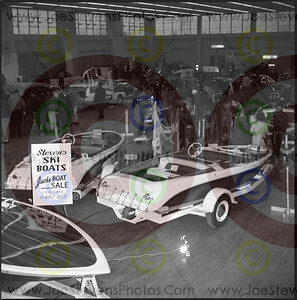 This gallery has photos of Mickey Thompson & Dobie Gillis cars This TV show car named XM SC 210 by " George Barris Kustom Autos". 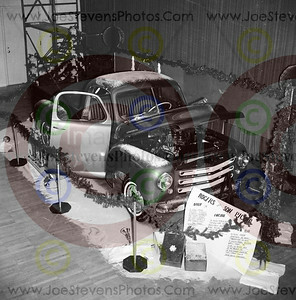 It was made for show #13 I have photos of Dobi Gillis (Dwayne Hickman) in my Wyandotte Theater Gallery if you go back to the main page by clicking on the JoeStevensPhotos tab to the left. Dwayne Hickman appeared at Wyandotte Theater with his co-star, Debra Wally which is where Jerry Lewis used to hold his Telethons during the 60's. But you can read more in that gallery. 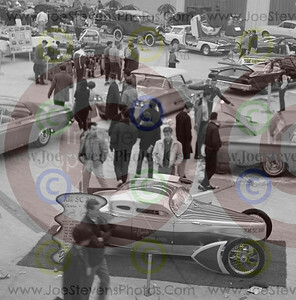 A George Barris Kustom Autos car (front, center) named XM SC 210 Racer that was built for Dobie Gillis in series #13 of the Dobie Gillis Show. 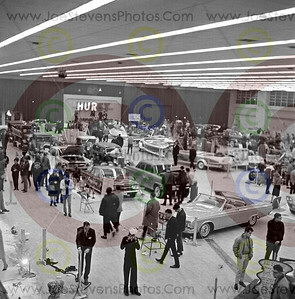 I think this is such a neat find for my Dad to have shot this car in 1964 at the Lightguard Armory because right around that time, my Dad asked my sister & I if we wanted to go meet Dobie Gillis and Debra Wally because they were at the Wyandotte Theater. My sister went & she got her picture taken with them. 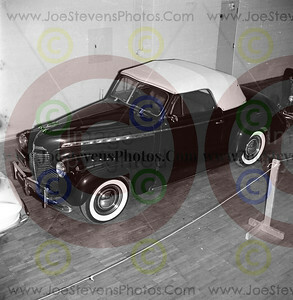 So I have a picture of Dobie Gillis to go along with this car. The photo of them is in the Wyandotte Theater, Celebrities gallery. "XM SC 210 Racer" by George Barris Kustom Autos. 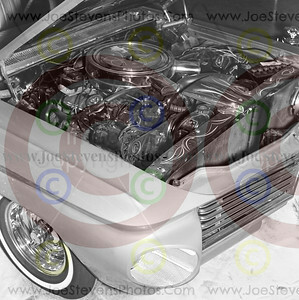 This car was built for Dobie Gillis in series #13 of the Dobie Gillis Show. 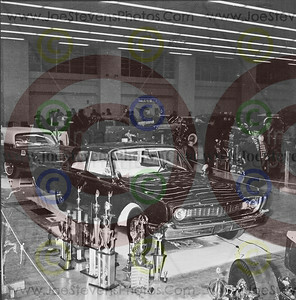 I think this is such a neat find for my Dad to have shot this car in 1964 at the Lightguard Armory because right around that time, my Dad asked my sister & I if we wanted to go meet Dobie Gillis and Debra Wally because they were at the Wyandotte Theater. 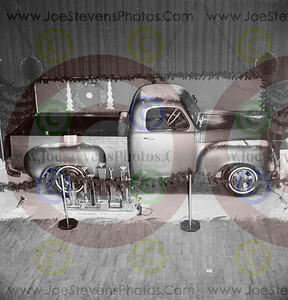 The Dobie Gillis photo's are in the Wyandotte Theater, Celebrities gallery. This photo shows several car. The one in front is the XM SC210 which was made for the Doby Gillis show.. 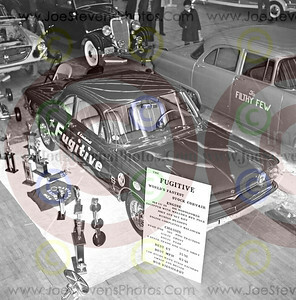 This photo has a Corvair with writing along the door which I can't read and next to that, a hot rod Chevy that has the hood open with writing on the door too which I can't see. 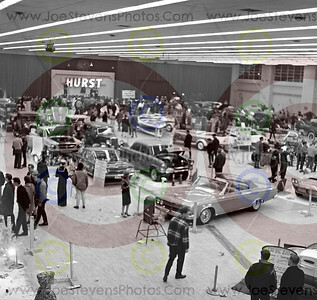 Notice the Hurst Sign up on the stage? 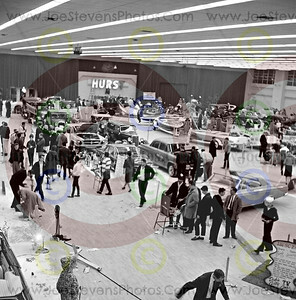 And I can see the sign for Dobie Gillis' car down in the right corner with George Barris name on it. George Barris & Linda Vaughn (Miss Hurst) are still friends after all of these years. I wonder if she was there. 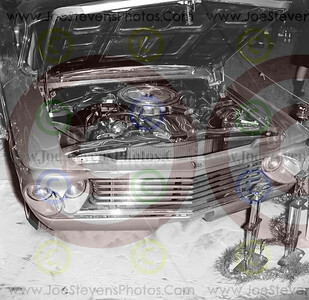 This is the same as the previous shot except there's a Sailor in this one & I can see the Dobie Gillis Car sign better. Quite a few boats back by the stage but you can see that it looks like they have either been setting up or taring down because the Corvere is gone and behind where it was is a car with slanted head lights (along the left lane) that has the hood up, which you are going to see all the close up photos of in the next several pictures after the picture of the boat. The car is called the "Aristocrat". 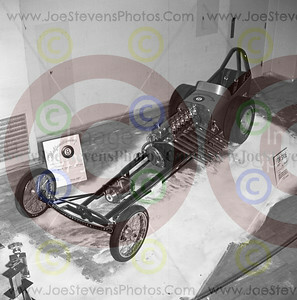 Mickey Thompson: This front engine dragster, with an innovative body at the time, shown here at the 1964 Lightguard Armory Car Show, is also shown racing at Detroit Dragway in the Legends gallery. This race car #281 A/G with a 481 ci Ram Charged engine was driven by Jerry & Harold Nuemann or Kuemann brothers from Saginaw. I have my fathers book on classic cars and I looked this one up. Let's see if I'm right. 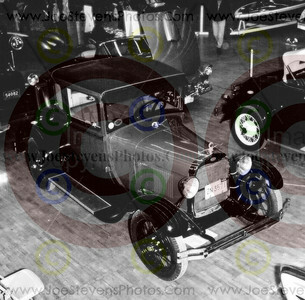 This car is a 1927 Fiat 525 N sports from the Quattroruote collection and the car beside it is a Fiat 520 Coupe. I'm not sure what kind of car this is. There is something on the side trim along the front half but I couldn't read it. 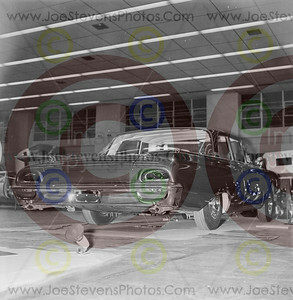 Could it be a Desoto.? 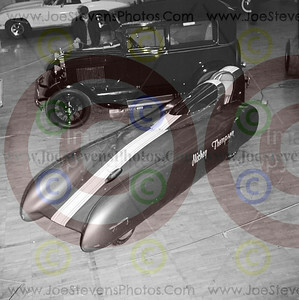 The featured Hot Rod here is the Dorman & Koopman Roadster II ~ # 496 driven by Mike. It's a 1932 Ford Roadster with a 57' Chrysler 392 ci engine. 1962 Chrysler 300. 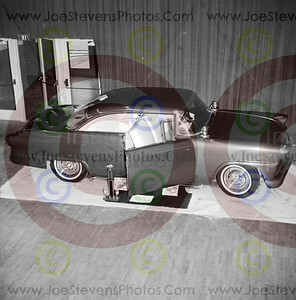 I met the owner & driver of this car, Anne Armstrong, during my photo exhibit at the 2010 Autorama. Anne is a member of the car club called "Chrysler 300 Club International". 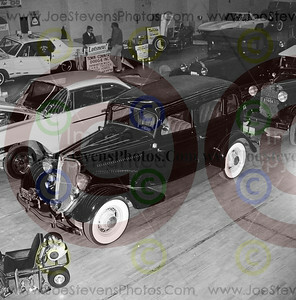 Anne's Chrysler was & still is a one of a kind car. Chrysler even called she & her husband & told them they'd never thought of the concept of putting a max wedge or a hemi engine in a full size chrysler. She says that this car almost held the national record but even though it didn't, she says, in 1965, after the National's, they used to hold a 4 lane race the day after & they raced this car against 3 winners, it was the biggest car, & ended up winning. So in my book, that's still a winner. 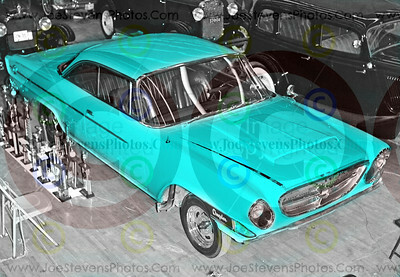 Back in the early 1960's, the name of this car was "Beautiful Brute" & the color was & still is "Bermuda Turquoise" although it looks white in this B&W photo taken here by Joe Stevens in 1964. On one occassion, racing at Detroit Dragway, her husband was late so she had to jump in & race the car herself. The announcer, at the time, said, "Look at that!! Her husband sent her out for a loaf of bread & look where she ended up." She says that she thinks she was one of the 1st woman to race at Detroit Dragway. One time she raced at Motorcity Dragway iwhile in full term pregnancy & went to have the baby 10 minutes after she got out of the car & ended up giving birth 2 days later at the hospital. She says that on the way to the hospital, they got into a couple of races down on Woodward, then her husband dropped her off at the hospital door. Her husband is gone now but she still has their car & their memories & her children. 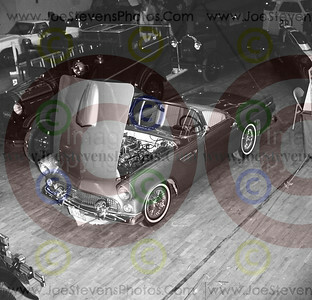 The car now has been completely restored & is tentatively appearing at the 2012 Detroit Autorama. 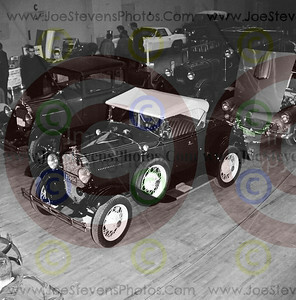 Anne is doing a story with the Cruise News so stay posted for that sometime after todays date of 10/21/11 & before the 2012 Detroit Autorama. Anne has had the car for 49 years now & says that they raced at several tracks such as Detroit, Motorcity, Stanton, Milan, St. Thomas, Grand Bend & in Ohio & says that the notable feature that would make people remember this car besides its hemi power & speed was that their tow car was the same Bermuda Turquoise color that really made it stand out. Well I'm happy to report that I've found this picture of Ann's "Beautiful Brute" as they didn't take many pictures back then. Needless to say, she is quite happy about it too & will be reading this. Hi Ann. She says, as reference to what her car looks like, this same model was on the front cover of Hot Rod Magazine in 1962 & you may have seen her at this yrs 2011 Woodward Dream Cruise as she had finally finished restoring it in time for it. 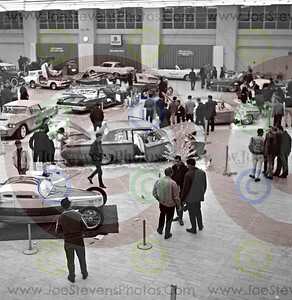 And if you want to see the real deal, make it down to 2012's Autorama. 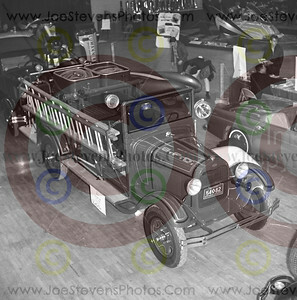 This car is in several other photos in this gallery so see if you can find it in photo #'s 2,3,5,12,16 & 17. 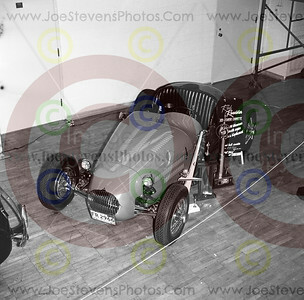 To view the photos in the largest (3x) size, mouse over this picture until you see the drop down menu & click on the 3x. After it opens in the large size, look across the top of the screen at all the options & to continue browsing these & other galleries in large size without having to go back & forth with each picture, look for the little arrows at the top, in the middle, that are in little circles. You can easily continue browsing large size by click the forward arrow or back arrow. If you want to go back to the gallery, look to the right top & click close. Chrysler 3001962 Chrysler 300. 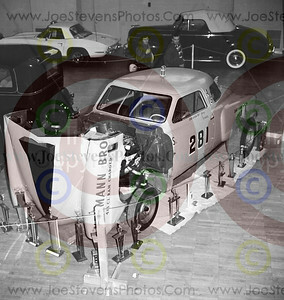 I met the owner & driver of this car, Anne Armstrong, during my photo exhibit at the 2010 Autorama. Anne is a member of the car club called "Chrysler 300 Club International". Anne's Chrysler was & still is a one of a kind car. 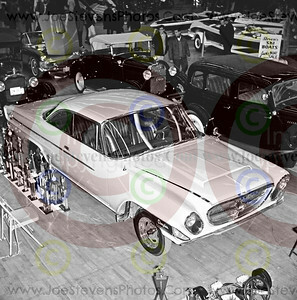 Chrysler even called she & her husband & told them they'd never thought of the concept of putting a max wedge or a hemi engine in a full size chrysler. She says that this car almost held the national record but even though it didn't, she says, in 1965, after the National's, they used to hold a 4 lane race the day after & they raced this car against 3 winners, it was the biggest car, & ended up winning. So in my book, that's still a winner. 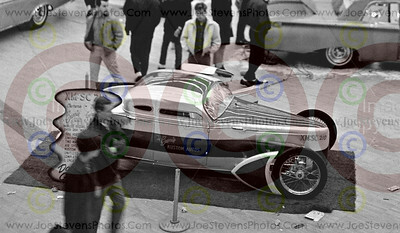 Back in the early 1960's, the name of this car was "Beautiful Brute" & the color was & still is "Bermuda Turquoise" although it looks white in this B&W photo taken here by Joe Stevens in 1964. On one occassion, racing at Detroit Dragway, her husband was late so she had to jump in & race the car herself. The announcer, at the time, said, "Look at that!! Her husband sent her out for a loaf of bread & look where she ended up." She says that she thinks she was one of the 1st woman to race at Detroit Dragway. One time she raced at Motorcity Dragway iwhile in full term pregnancy & went to have the baby 10 minutes after she got out of the car & ended up giving birth 2 days later at the hospital. She says that on the way to the hospital, they got into a couple of races down on Woodward, then her husband dropped her off at the hospital door. Her husband is gone now but she still has their car & their memories & her children. 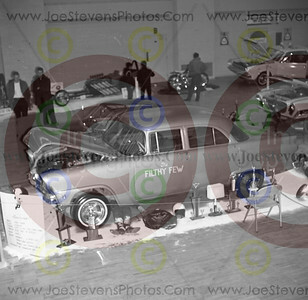 The car now has been completely restored & is tentatively appearing at the 2012 Detroit Autorama. 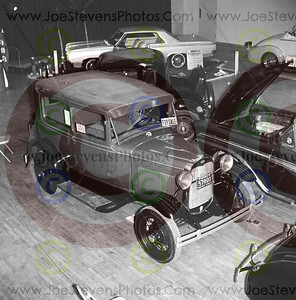 Anne is doing a story with the Cruise News so stay posted for that sometime after todays date of 10/21/11 & before the 2012 Detroit Autorama. Anne has had the car for 49 years now & says that they raced at several tracks such as Detroit, Motorcity, Stanton, Milan, St. Thomas, Grand Bend & in Ohio & says that the notable feature that would make people remember this car besides its hemi power & speed was that their tow car was the same Bermuda Turquoise color that really made it stand out. Well I'm happy to report that I've found this picture of Ann's "Beautiful Brute" as they didn't take many pictures back then. Needless to say, she is quite happy about it too & will be reading this. Hi Ann. She says, as reference to what her car looks like, this same model was on the front cover of Hot Rod Magazine in 1962 & you may have seen her at this yrs 2011 Woodward Dream Cruise as she had finally finished restoring it in time for it. 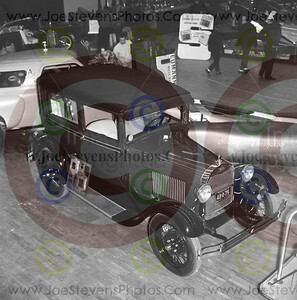 And if you want to see the real deal, make it down to 2012's Autorama. 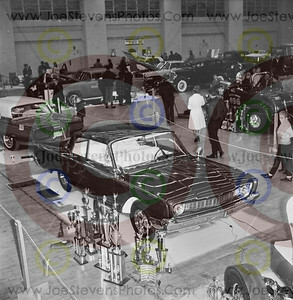 This car is in several other photos in this gallery so see if you can find it in photo #'s 2,3,5,12,16 & 17. 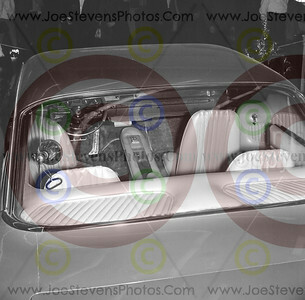 To view the photos in the largest (3x) size, mouse over this picture until you see the drop down menu & click on the 3x. After it opens in the large size, look across the top of the screen at all the options & to continue browsing these & other galleries in large size without having to go back & forth with each picture, look for the little arrows at the top, in the middle, that are in little circles. You can easily continue browsing large size by click the forward arrow or back arrow. If you want to go back to the gallery, look to the right top & click close. An historic Fire Truck with the letters B.F.D. on the hood. 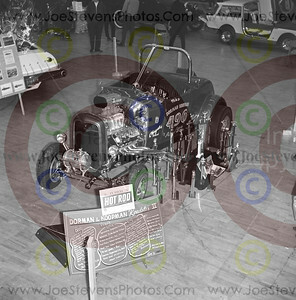 This was a real classic then and there are still some of those old fire trucks around at some of the car shows. A good place to find old trucks of this sort and old bicycles is the Trenton's "Somewhere in Time" in Sept. at Elizabeth Park. 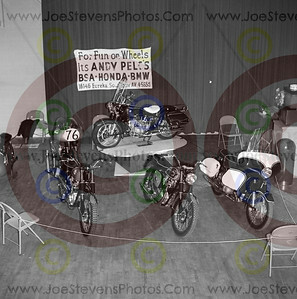 For fun on wheels it's Andy Pelc's BSA-Honda-BMW on Eureka in Southgate. Do you think it's still there? This was almost 50 years ago. Jack's boat sale. 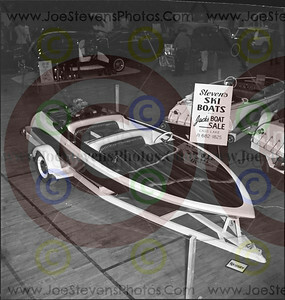 Steven's ski boats were down at the lightguard armory car show and this is what they looked like in 1964. Not bad. 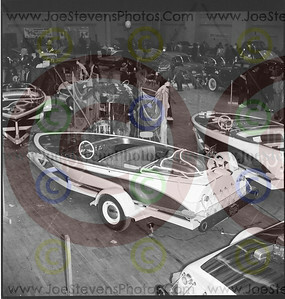 Here are the several boats in the show with a nautical center peice. 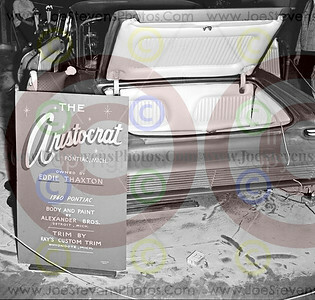 The Aristocrat, a 1960 Pontiac, painted by the Alexander Brothers (of course) and owned by Eddie Thaxton. The next 7 photos are of this too. I think the big deal was that the seats swiveled, which is pretty cool. That would be a nice asset to an everyday car, especially for ladies wearing a dress or skirt. 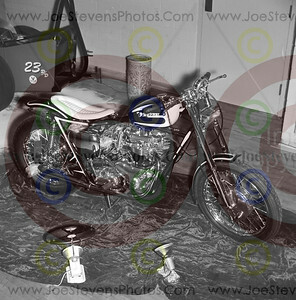 But there is also a few photos of the engine too. Mr. Thaxton, the owner may have asked for all of these pictures for himself.